The DRI Sleeper® Excel Special Pack includes the Excel Bed Wetting Alarm, two Urosensors™, and a free poster Training Aid to encourage your bedwetter on their way to dry nights. 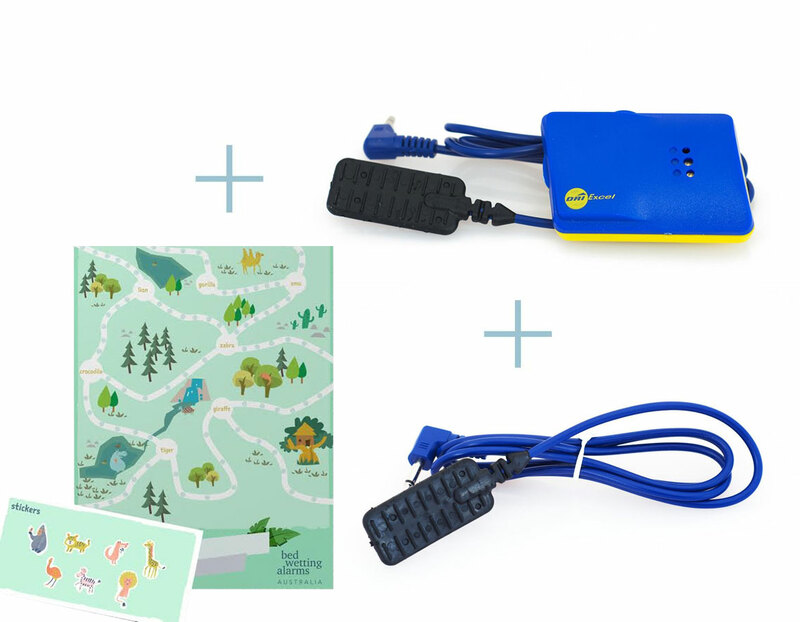 This special package includes a DRI Sleeper® excel alarm with batteries and two Urosensors™. Even though an Urosensor™ will last several years with reasonable care it is a consumable item in the same way that the earphones for an i-pod or phone are. And, just as people often have a spare set of earphones on hand in case of damage or loss, our advice is that a spare Urosensor™ is a good idea. The special Excel package offers peace of mind with a second Urosensor™ included at a 8.8% discount to the usual Urosensor™ price.